At Bradco there is something for everyone. Whether you have traditional or contemporary taste or are working with a small or large budget, our professional designers will tailor your kitchen to you. Nabco been an expert in the Kitchen and Bath industry for over 12 years. 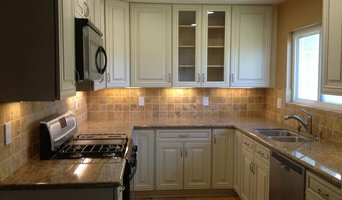 We specialize in kitchen and bath design to home remodeling. Let us design and build your dream kitchen. Lavie Construction is a home improvement company that provides high quality, full service consulting, design and building solutions. Redkorp Inc. has been providing quality residential construction, renovations and remodeling services to the greater Los Angeles, San Fernando Valley, Burbank, and Glendale areas since 1994. Aspen White Star designs and creates custom cabinetry for your kitchen, bath, entertainment & unique spaces. The touch of a master designer is found in every detail. DMS contractors is a residential and commercial construction company serving the greater Los Angeles area. Its founder Dan Spiegel has been completing many successful projects since the 1980's. Arrowhead Remodeling & Design Inc is a family owned and operated business who has more than 30 years of experience in the construction industry. As a licensed, insured and bonded company we perform all your home construction, remodeling and repair needs. Our mission is to transform our client's living spaces in to a home of their dreams. We do our best to minimize our client's costs, project timeline and other inconveniences associated with remodeling projects. Our high degree of craftsmanship, honesty and service is what makes us one of the best in California. My name is Ashley Kim and I focus on creating exceptional spaces that not only meet the aesthetic dreams of my clients but are functionally relevant to their lifestyle. We are a full service “turn key” construction and design company specializing in high end residential and commercial work. Our mission is simple, provide the best possible service and product possible at a reasonable cost. A well built product is not always beautiful and a beautiful product is not always well built. We combine both, a product that will last for future generations to enjoy that will have the durability and elegance to last a lifetime. Our team of professional specialists, designers, and technicians are available at YOUR convenience to assist in turning your home dreams into functional & stylish spaces (that you can actually enjoy). Thanks to a super team of planner and designers, we have what it takes to bring your project from concept to completion in a fashion that insures the in quality, durability and beauty. Kitchens and bathrooms are two of the hardest-working spaces in any home. When it’s time to update them, ensure that they stay at peak functionality by hiring a Venice kitchen and bathroom remodeler. With an eye for aesthetics, a practical approach to layout and design, and the skills of a contractor, a bath or kitchen remodeler in Venice, CA can help you execute a remodel suited your personal style and needs. 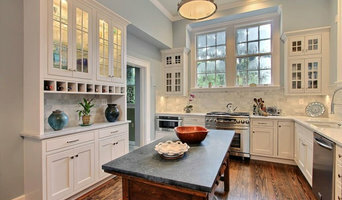 What does a Venice kitchen and bath remodeling expert do? Licensed California kitchen and bath remodelers are contractors who specialize in altering the structure of an existing space, rather than building one from the ground up. Because he or she must deal with a previous builder’s work, the job can get more complicated than new construction. You might wonder why they often specialize in both kitchens and bathrooms, but if you think about those two spaces, they actually have a lot in common. Kitchens and bathrooms include an abundance of fixtures that require careful planning and installation, including sinks, faucets, tubs and toilets that all need water hookups and drainage. They also use similar materials, such as tile and stone for countertops and flooring, due to the nature of their use. So it makes sense that Venice kitchen remodelers and bathroom remodelers be one in the same. A bathroom or kitchen remodeler translates architectural plans from page to reality; some are also trained to provide design services so that you don’t have to hire a separate pro. 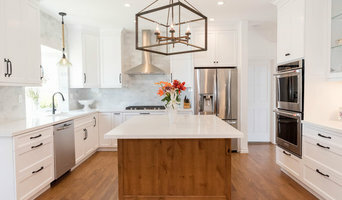 Like a general contractor, a kitchen and bathroom remodeler in Venice, CA is responsible for hiring and supervising subcontractors and providing materials when necessary. They also should have a thorough knowledge of California building codes and construction-related legal issues, as well as current design and product trends. Here are some related professionals and vendors to complement the work of kitchen & bath remodelers: Woodworkers & Carpenters, Kitchen & Bath Designers, Interior Designers & Decorators, Architects & Building Designers, General Contractors. 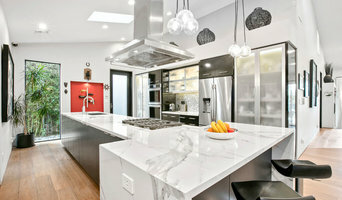 Find a Venice kitchen and bathroom renovator on Houzz. Narrow your search in the Professionals section of the website to kitchen and bathroom remodelers in Venice, CA. 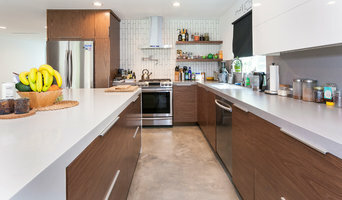 You may also look through photos of Venice, CA spaces to find kitchens or bathrooms you like, then contact the bathroom or kitchen remodeler who worked on it.